Update 11/14/2013: Check out our newest slideshare for a visual representation of this blog post! So the hard part is over. It was smooth sailing throughout your entire presentation. The audience laughed at your jokes, they stayed attentive, and they even responded to your questions. Your speech is coming to an end, and you need the perfect way to leave your audience thinking. Big Fish is providing you with our five favorite presentation closers. Convince your audience to take what you’ve told them and do it. Challenge them to make a difference or to do something out of the ordinary. Use the power of your speech to inspire action in your audience and dare them to take what they’ve learned in your speech and apply it to their life. Our CEO, Kenny Nguyen, used the ‘Challenge Close’ to end his speech during his TEDx Talk. Take a look here: The Art of Saying No. A good way to sum up your presentation is with a motivating quote. Find one that reiterates your point and gives that last push to understand the meaning behind your presentation. After your quote you can exit the stage with confidence and leave the audience with a certain something to always remember. It may just become their new favorite quote! 25 Awesome Public Speaking Quotes is a compilation of some of our favorite quotes. Take a story you started earlier on in your presentation and finish it as your close. 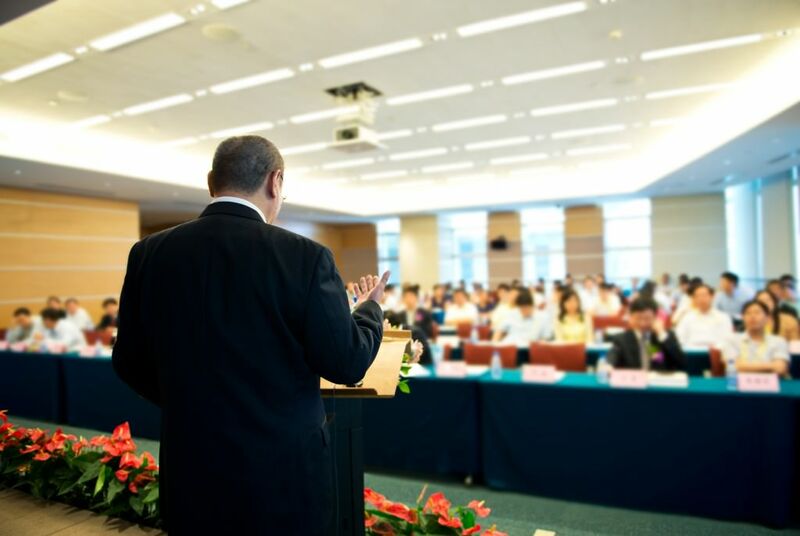 Making a reference to an earlier part in your presentation will refresh the audience’s memory before their departure. A success story will give the audience a sense of hopefulness and the self-assurance to make their story a success as well. Our Ebook, The Building of Stories, provides details on how to tell a great story. One thing you don’t want to do is close your presentation without saying thank you. A little appreciation can go a long way. Always remember to be prepared and remain calm, and your presentation will be great. Don’t forget to subscribe to our blog for more awesome tips on presentations!